The invasion of higher versions of technHow AI And Machine Learning Are Helping App Development Field?ologies like Artificial Intelligence and Machine Learning have made a whirlwind in the field of every industry including retail, manufacturing, transportation and surprisingly even the customer support mechanism is not an exception to these technologies. The reason why I pick to initiate my blog with the introduction of these technologies is due to the fact that these very technologies have marked an indelible presence on the software development industry as well, wherein every single app now is expected to be infused with the latest advancements of creativity. I am assured, that I don’t need to address the significance borne and reflected by the app development industry, as it is everywhere, and maybe you are reading my content right now on one of the apps only. Hope this must have caused you to carve a curve line on your lips. Ok, let’s hop back to our post main aim, and that suggests that these very two technologies, which have caused enough hype in the world are taking the app world as well with a storm and it is expected that by the year 2022 the Machine Learning market would grow to whopping $8.81 billion. Yes, that is surprising and promising at the same time, as it suggests clearly that what the future of new technological inventions is. However, not many of us know that Machine Learning is an out product application of Artificial Intelligence only. That’s a surprising fact I know, but something more astonishing is yet to be revealed through this post further, hence stay tuned and keep your eyes intact on the content. Although my real aim behind this post is to help you understand how machine learning and AI can help the app development field at a massive rate. The app bugs are not new to be discussed here; however, these are the only factors, which help the app to doom into an unknown region. OOPS R.I.P. a potential app! Did you notice that I used potential in my sarcasm above, and it is due to the fact when a potential app becomes a victim of the bugs and errors and lose the battle. Albeit, the resolving of bugs and errors within an app has grown much better with the advancement in Artificial Intelligence. As the AI lets the developers identify the bugs before they reach to the users, and this helps the developers to kill the problem in nick of time. This is not just good for the users, because they receive a clean and smooth functioning mobile app, but it is also a blessing for the testing teams as they don’t require to put their brains in finding the bugs and on the other hand developers, don’t need to spend time fixing the issues. Further, app developers can include the Machine Learning algorithms in testing the app, which helps the QA team to improve their work performance. If you are a developer and reading this post right now, then you can easily understand the amount of pain and frustration you go through while deciding which features can be proven beneficial and productive for the app you are developing. 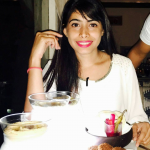 On a conventional approach when developers have to take that decision to include the RIGHT features in the app, then it does not happen in a jiffy of time, but it requires a process, which consumes not hours but DAYS. 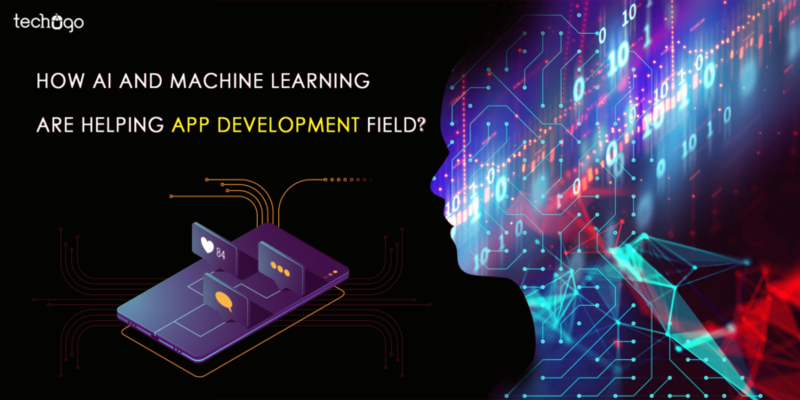 With the machine learning, AI solution has a specific set of training or you can call the pre-feed instructions, which can analyze the market demand and the competition, and in accordance with designing the best suitable features to be included in your app product. I won’t say that entire credit ball falls in the court of ML, but yes with the slight intervention of the business team helps to excel the decision, calling it a medley of human and machine expertise would be a great choice. Needless to say, but this very approach helps the cumbersome process of technology recommendation can be wind up in few hours and this leads to expedited development process, timely delivery, and much broader revenue generation in lesser time than expected. The coding is the field where many brainy fresh minds love to invest their time, but the training period consumes times, and the proficiency hidden somewhere in them, gets out after a much awaited time. The introduction of Artificial Intelligence lets these young learners get detailed and the skilled information about the coding and improve their skills on writing the great code effortlessly. TBH, I too have had my share of concerns in the past sharing my precious data through the mobile apps. The reason had been very simple; the amount of data transferred between different networks could never be monitored or scrutinized by the cybersecurity experts, leading to some of the most fatal consequences to be experienced. Also, by the time the breach came into notice, till then, hackers have already spent a vacay in Switzerland, on the cost of your data leak. To combat this massive trouble, Machine Learning has brought the solution which notices the breach much before the harm occurs and it also removes the bleak chances of receiving the false notifications, delay in warning, and fake alerts. This helps different organizations to stabilize the much concreted and formalized way of data security solution to the users, so they can fearlessly use the app and transfer their data from one network to another. I truly hope you must have enjoyed learning about these technological advancements amidst my carefree writing! But on a serious note, the potential held by the upcoming invention is much broader and greater than the expectations of the users. The only aspect which is required is to facilitate these technologies in a much useful format. The app development industry is not going to sleep in the volcano near time, but has much to offer and much to experience from the hands of users’ expectation which finally result in building and crafting new standards of technology. I suggest that if you are yet to be introduced to the app technology, then you must not wait any longer, but must get in touch with a leading iphone application development company, without a fail and escape your company to face the revenue loss due to the absence of app technology.